The goal of cosmetic dentistry is to improve the appearance of teeth that show when you smile and talk. If you have ever felt self-conscious about your smile, you owe it to yourself to request a consultation with our Troy, MI cosmetic dentist. During your consultation, we’ll be able to discuss ways we can improve teeth in the “smile zone.” Click the links below to explore our cosmetic dentistry services or call the Premier Dental Center at (248) 457-0500. Advancements in a variety of dental technologies, porcelain fabrication processes, specialized bonding compounds and more recently, new choices between noninvasive (no prep) and minimally invasive (low prep) dental components have enabled patients to obtain nearly any cosmetic change or result they want in their smile. We understand that your smile says a lot about your personality, which is why we often recommend teeth bonding to patients who want to correct slight chips, cracks, gaps, or other minor imperfections. Our cosmetic dentist can help you smile with confidence in as little as one appointment. Veneers are wafer-thin porcelain shells we’re able to bond to the fronts of your teeth. Our cosmetic dentist may recommend porcelain veneers to cover teeth that are slightly chipped, cracked, discolored, or have other minor imperfections. If you have ever felt self-conscious about your smile, you owe it to yourself to ask our dentist about Lumineers®. 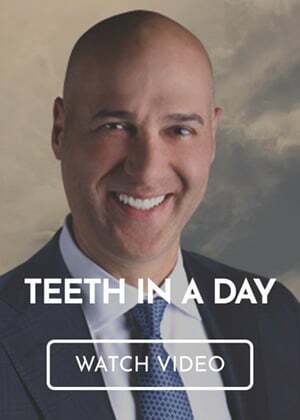 With Lumineers, our cosmetic dentist in Troy, MI, can improve the appearance of your smile in as little as two appointments. Wish you could try teeth whitening at home? Request an appointment with our Troy, MI cosmetic dentist to learn if you’re a candidate for custom whitening trays. We understand that you have a busy schedule, which is why we provide the option for our patients to whiten teeth at home when it’s most convenient for them. If you have a tooth made fragile from a large filling or multiple dental procedures, our dentist in Troy, MI may recommend a zirconia crown. A dental crown (sometimes called a “tooth cap” by our patients) covers the entire visible portion of your tooth above the gum line. Dental crowns have become the most popular and most frequently used component for modifying a tooth structure or completely replacing it. Crowns are commonly used to improve a tooth that has deficient tooth structure due to significant decay, congenitally small size, cracks or fissures (caused by bite problems), and trauma (which could include sports activities and accidents).